Size: 9 ft length. Miniature Tree Garland Decoration. 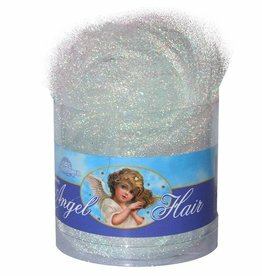 Perfect for mini christmas trees decorating! Christmas Garlands Decorations and Decor by Kurt S. Adler Petite Treasures collection featuring Mini Chirstmas Tree Themed Garlands. Size: 15 Grams. Christmas Tinsels and Garlands Decorations and Angel Hair Themed Holiday Decor by Kurt S. Adler. Size 72 inch. Black and White w Gold Gilded Accent Glass Ball Ornaments Garland. Black and White Stripe Mackenzie Childs Themed Christmas Garlands Decorations and Home Decor by Mark Roberts. Size: 72 inches each. Darice Home Decorations and Home Decor. Christmas Holiday Collection. Christmas Flowers and Floral. Size: 36 inches each. Darice Home Decorations and Home Decor. Christmas Holiday Collection. Christmas Flowers and Floral. Pre-Lit with 280 Tips, 50 Ul approved outdoor clear lights with white colored cord. Size: 108 inches (9 Feet). Seasonal and Holiday Decorations - Christmas Garlands, Christmas Garlands and creations by Kurt S. Adler. istmas Wreath from you door with these decorative hangers! Size: 12 inches. Seasonal and Holiday Decorations - Christmas Wreaths Hangers Collections by Kurt S. Adler. Shatter proof Bead Garland. Size: 7mm x 18FT Foot Roll. Seasonal and Holiday Decorations - Christmas Garlands by Kurt S. Adler. Miniature Tree Garland Decoration. Size: 9 ft length. Perfect for mini christmas trees decorating! Christmas Ornaments and Decor by Kurt S. Adler featuring Mini Tree Themed Ornaments. Size: 5 feet. Mixed Pine Pinecone Garland. Darice Home Floral Decor Collection. Holiday Decorations and Decor by Darice. Size: inches. 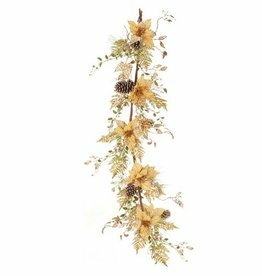 Frosted Pinecone Garland w/ Berries. 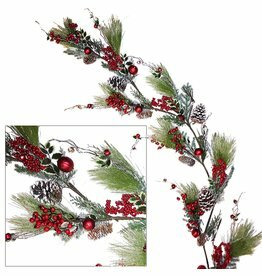 Seasonal and Holiday Decorations, Christmas Garlands collections by Kurt S. Adler. Size: 6ft. 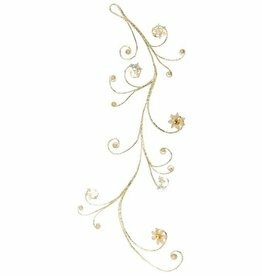 Twinkle Silver Branch Garland. 64 cool white LED lights and UL adapter. Lighted Lit Christmas Garlands Decorations and Silver Themed Holiday Decor by Kurt S. Adler.